Foggy Bottom is one of the oldest and most iconic neighborhoods in Washington DC. With some incredible culture right at your fingertips, Foggy Bottom is hard to beat for things to do in DC. Want to hear some music? Go catch a free show at the Kennedy Center. Want to take in a piece of history? Book a “staycation” at the Watergate hotel. Whatever your reason for coming here, our Foggy Bottom luxury apartments are sure to meet and exceed your every expectation. 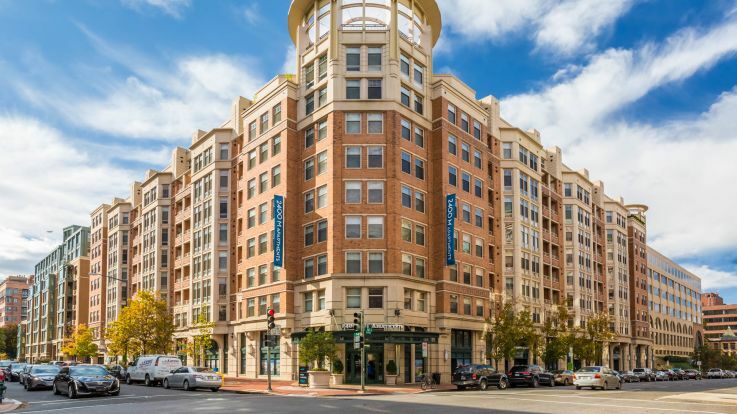 With our private courtyard, in-home washer and dryers, and a rooftop running track and pool, we know that our Foggy Bottom apartments have everything you need to say “yes” to your new home.